We are in the area of Ciglio in the town of Serrara Fontana, just so close the church dedicated to Tifeo, the giant who holds the island. 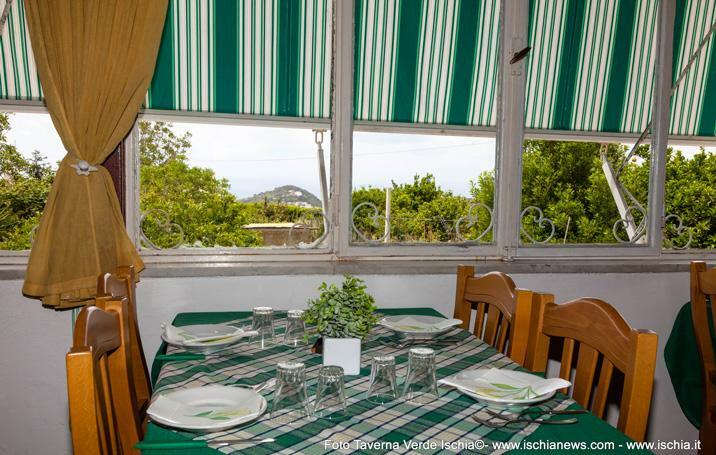 In the glimpse where the passing of time seems to have left no trace, Taverna Verde is set, a restaurant full of traditions in which everything has an exquisite old flavor. Unique flavors, rare to taste like fresh pasta, potato fritter and succulent contours of Grandma Olimpia. Fabulous is the Rabbit of Morzariello, a familiar interpretation of the famous Ischitan rabbit.